When most people hear the word Asbestos they often associate it with Danger. This is for a good reason. Asbestos is a controlled substance and can be extremely hazardous to your health. It is a known carcinogen and can potentially cause lung cancer, asbestosis and mesothelioma. It can be categorized into 2 types; Friable and Non-Friable asbestos-containing material. Friable means any material that contains fibres in the form of powder. It can be easily crumbled and reduced to dust by pressure. Examples of friable materials: Insulation, Drywall Joint Compound, and Ceiling Stipple. Non-Friable is when fibres are used as mixing materials and bonded to another material. It cannot be crumbled by pressure when dry. Examples of non-friable materials: Stucco, Vinyl, or Roof Shingles. 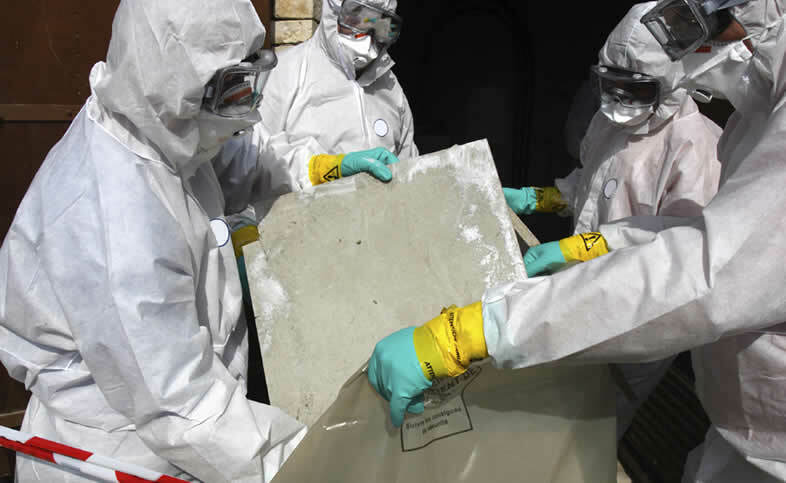 checkAll of our asbestos abatement technicians are certified for type 3 operations. This is a very important aspect of the asbestos industry as many companies are not compliant and allow uncertified workers to perform these types of projects. This obviously affects the safety of the worker and the client. checkOntario Regulation 278/05 covers the guidelines to asbestos abatement. We are always in compliance of this regulation. checkAsbestos is most commonly found in building materials that were produced prior to 1987. Today, asbestos is not as commonly used in Canada since prolonged exposure to asbestos been proven to be a health hazard. When the asbestos fibres are released into the air anyone breathing the air is at risk. 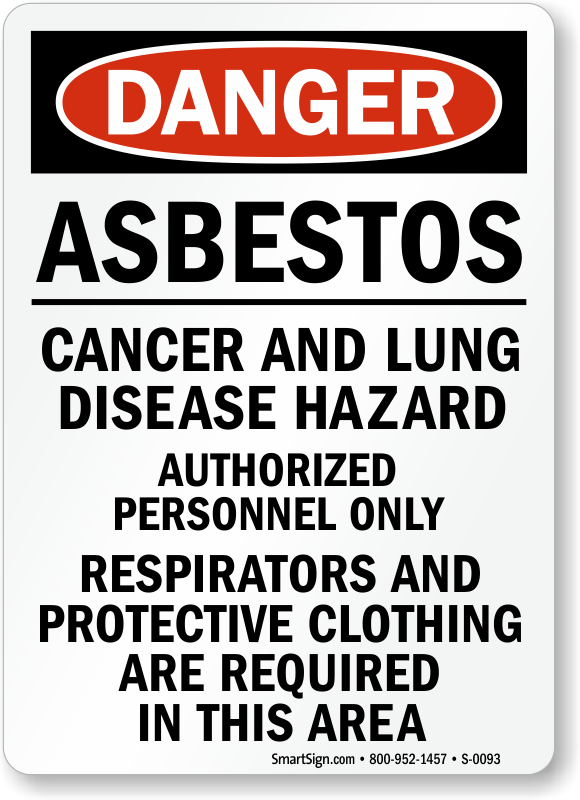 Asbestos exposure has been linked to lung scarring, cancer, mesothelioma and Asbestosis. checkAsbestos is a natural mineral which was commonly used in homes, buildings and schools for various uses such as insulation, in attics, around pipes, ducts/HVAC systems, behind walls, in basements and also in ceiling tiles, plaster ceilings, plaster applied to wood lath, ceramic/vinyl floor tiles and roof shingles etc. 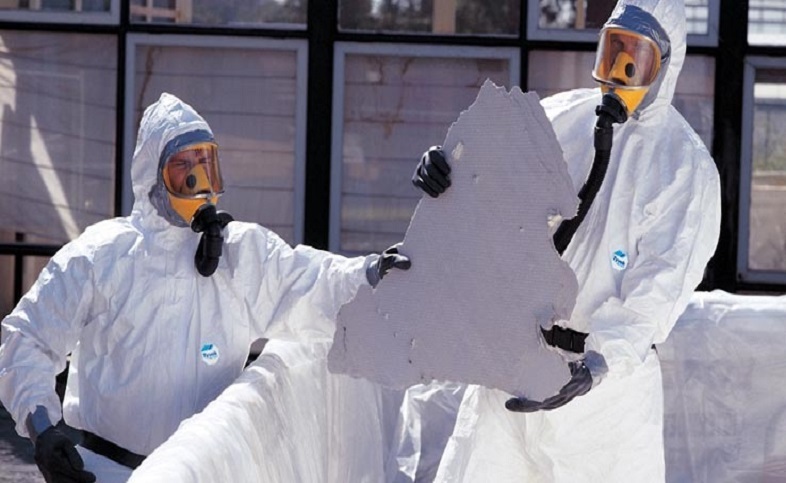 Type 1 Asbestos Abatement procedures are considered to be the least potentially hazardous work. Typically a type 1 procedure involves the removal of vinyl floor tiles or mastic without the use of a powered tool. Type 2 Operations usually require the use of a personal respirator and having containment and proper dust removal procedures in place. Examples of Type 2 Operations include removal of drywall joint compounds, duct or pipe wrap or friable material such as stippled ceiling if the area required to remove is less than 10 Sq Ft.
Also, only hand tools may be used in a type 2 operation. Type 3 Asbestos Abatement operations are considered the most potentially hazardous to both workers and occupants of the home. 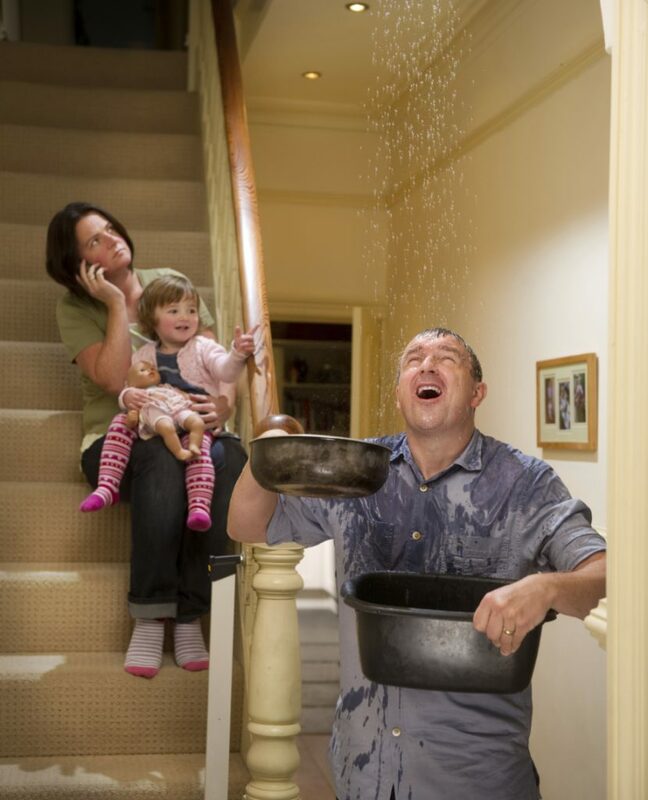 As such, there are more procedures and precautions taken to ensure the work is done safely. Type 3 Operations include the removal of friable materials such as Stippled Ceiling, Stucco, Joint Compound. Removal can be done using powered tools. Before work can commence, a notice of project must be filed with the Ministry of Labour. All work needs to be performed under containment and negative air pressure. Workers must be completely suited up in Personal Protective Equipment and With a HEPA rated Mask. Other aspects of the project include the use of decontamination showers, and Air Quality Clearance Testing before the area can be re-occupied. If you have any questions regarding asbestos abatement in your home or business please contact us by phone or fill in the contact form and one of our team members will get back you right away.